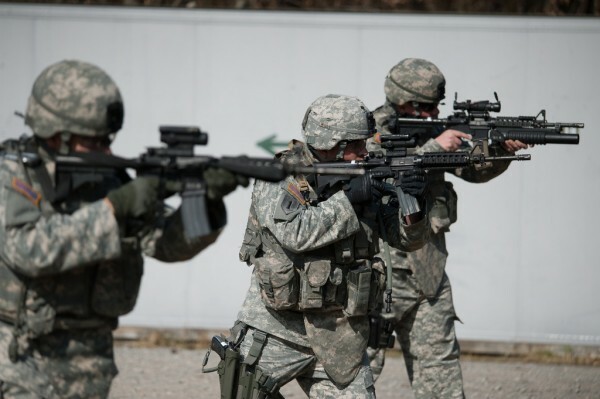 (NationalSecurity.news) A new Government Accountability Office report says the Department of Defense has yet to develop a comprehensive strategy for rebuilding military readiness, which could imperil its ability to respond to future threats, AMI Newswire reports. The GAO said the service branches have not defined what readiness means or how progress will be measured, nor have they determined what resources are needed to reach those goals. The GAO said that while each service branch has started work on how to restore readiness, there has been no coordination between the services on how to achieve those goals, and inside each service, only certain units and missions have been singled out for improvement. As a result, the GAO said the services have made assumptions about congressional funding and future security threats that may undermine their ability to restore units to combat readiness. The service branches have been forced to deploy what units they have more frequently, and for longer periods of time. The Air Force had 58 percent fewer squadrons in 2015 than it did in 1991, though demand for Air Force support has remained high. The Navy has 18 percent fewer ships now than it did in 1998, but demand for naval support has risen. In response, the Navy has increased deployment times from seven months to a “less sustainable nine months,” the report said. The Navy said it has had to defer ship maintenance and training as deployments have been extended. The Air Force said its smaller force has been working harder to keep pace with “persistent demand,” and that declines in both “equipment availability” and training have added to the strain. The Marine Corps said an increased number of deployments in the past decade, coupled with a lack of experienced leaders and training, is hurting readiness. The GAO reported there have been some readiness gains among specialized Army and Marine Corps combat units due to the winding down of U.S. military operations in Afghanistan. But operations elsewhere in the world are growing larger. The Army’s U.S. European Command told GAO investigators that its units are now staying in Europe to “meet the growing needs of the command, such as the response to Russian aggression,” preventing them from being used elsewhere in the world. The GAO recommended that the Secretary of Defense order the individual service secretaries to “comprehensive” readiness goals, establish ways to measure progress toward those goals and note the “external factors” that could affect their plans. In response to Pendleton’s report, deputy assistant secretary of defense for force readiness Lloyd Thrall generally agreed with the recommendations. Thrall said “it is incumbent on the Department [of Defense] to ensure the Service readiness recovery plans are viable and analytically sound. Reporting by Norman Leahy, AMI Newswire.